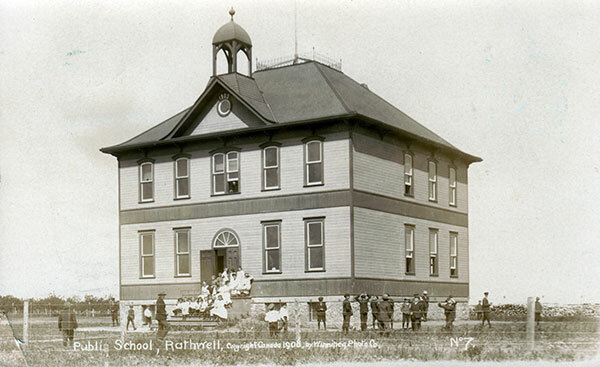 The Rathwell School District was established formally in May 1889 and a school building was erected in the village of Rathwell in what is now the Municipality of Norfolk Treherne. In 1903, it was replaced by a two-storey wood frame building designed by Brandon architect Walter H. Shillinglaw. In 1956, the district was consolidated with Gordon Union School No. 393 (earlier located at SE2-9-9W) to form Rathwell Consolidated School No. 578. 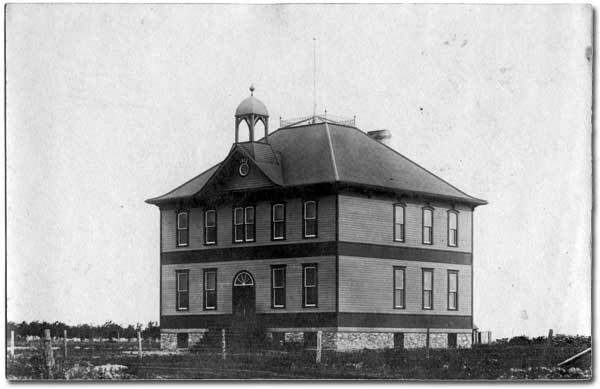 The building was demolished in 1961 and replaced by the present structure. 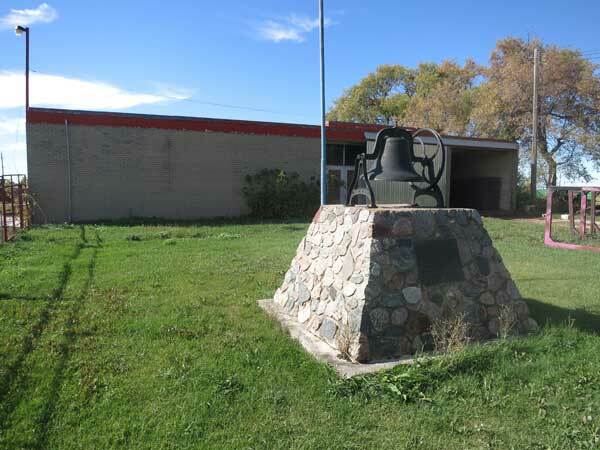 On 18 July 1982, a stone monument topped by the original school bell was erected by former students and teachers in front of the last Rathwell School building, which is now closed and used for industrial purposes. 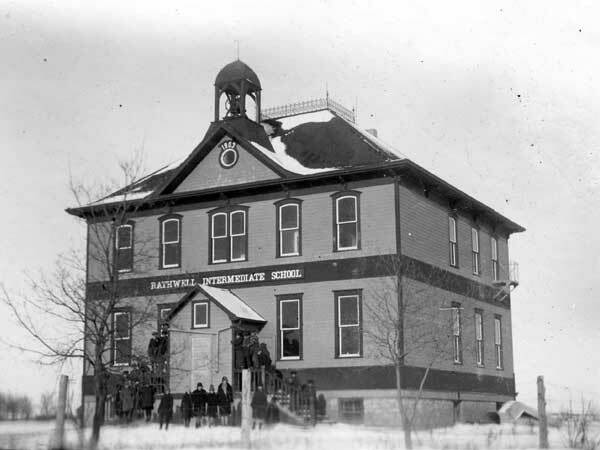 Among the teachers who worked at Rathwell School were M. Allan Davis (1906), Vivian D. Glass (1941-1942), and Thelma Bessie Brown Forbes. GR8461, A0233, C131-1, page 90. “Rathwell, Man”, Western Canada Fire Underwriters’ Association map, July 1919, Archives of Manitoba. We thank Andrew Cunningham and Nathan Kramer for providing additional information used here.